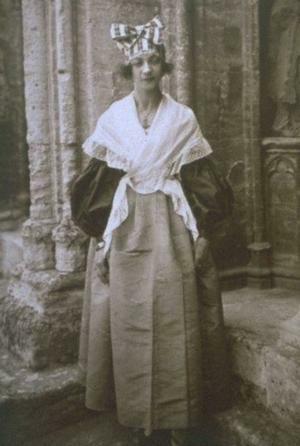 Uploader comment: Jeanne Louise Calment was born in France on Feb. 21, 1875 and died in a nursing home in Arles, France on Aug. 4, 1997. She was 122 years, 164 days old. Image status: EXPLAINED This is a true story, in the picture above she was 22 years old in 1897. Correction: Oldest person ever with substantial evidence. Oldest with "substantial evidence". What other kind is there? thats amazing wonder what her secert was???? impressive but i for one wouldn't want to live that long.. I love this! 3 She was really beautiful in a weird way, and I hope she's living happily in the next life. She found the fountain of youth and with age she forgot where it was.